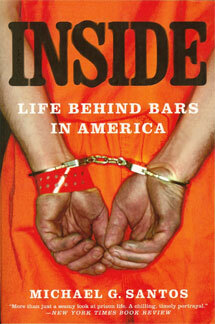 As readers may know from my books and articles available at criminal-indictment.com, my position is that we could create a more effective system that better serves the needs of society if we created programs that encouraged prisoners to prepare for law-abiding lives upon release. Justice should not be determined with the initial sentence, but rather with the efforts an individual makes to redeem himself, to reconcile with society, and to prepare for a contributing life upon release. When my judge imposed a 45-year prison term I was 23. At the time, I could not wrap my mind around the severity of the sentence. I had never been confined before, and contemplating the reality that I would serve several decades was surreal. Other prisoners with whom I shared space were serving sentences that were only a fraction of the length of mine. Some of those men had long histories of incarceration, violence, and were unrepentant. I was confined with one school teacher who was sentenced to five years for molesting several young boys. In comparison to those terms, I then felt as if my sentence was absurd, as if there was no way justice would permit my imprisonment for multiple decades. By then I did not have much hope of relief through the judicial system, so I chose to focus on the first ten years. During that first decade, I felt as if the best use of my time would be in educating myself and striving to create opportunities that would prepare me for release. I studied through courses that would lead to university degrees. As I read more about social philosophy, I discovered the writings of Socrates, Rousseau, and others who helped me understand more about the social platforms on which societies are built. Rather than lamenting on the lengthy sentence I received, I decided to accept that I would serve a long time in prison. Once I accepted that I likely would serve more than 20 years of my life in prison, I could more easily contemplate ways that I could use my situation to make contributions to society. That shift in focus eliminated thoughts about whether justice was achieved in my case, and enabled me to find meaning through thoughts and actions. The shift empowered me. Justice, I came to realize, represented the will of our citizens through the laws and procedures that elected representatives passed. Lawmakers decided that lengthy sentences were appropriate for nonviolent drug offenders, and the citizens apparently supported those views. My decisions exposed me to the sanctions. Likewise, the decisions I made while serving time would determine my usefulness as a citizen. I chose to prepare myself to live as a model that my bolster my power to persuade taxpaying citizens that the criminal justice system is in need of reform. If I succeed in these efforts, then I will have made a meaningful contribution to society. I will have helped our criminal justice system evolve into a more enlightened model that is more in line with my interpretation of justice. I will continue working to reform our system, as these efforts offer an opportunity for me to make a meaningful contribution.